The General Services Administration has awarded 27 small businesses positions on the second phase of a potential 10-year contract to provide building maintenance and operations support for federal agencies at zones 2 to 6 sites. The companies will compete for task orders under the small business track of the Phase II BMO multiple-award, indefinite-delivery/indefinite-quantity contract, GSA said Friday. The Phase II BMO SB contract vehicle covers “strategically sourced” electrical maintenance, landscaping, suppression system maintenance, janitorial, fire alarm, commissioning, plumbing, elevator inspection and heating, ventilating and air conditioning services. Zone 2 covers government facilities in six states such as Connecticut, Maine and Massachusetts, while Zone 3 covers four states such as Florida and Georgia. Zone 4 includes Texas and Oklahoma, while Zone 5 covers Nevada and California. Zone 6 covers four states and those include Iowa, Illinois, Nebraska and Missouri. 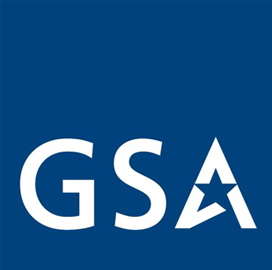 GSA awarded the small business track of the contract more than a year after it announced the 31 firms that won spots on BMO vehicle’s Unrestricted and SB portions worth up to $30 billion combined.